The sponsor’s name may have changed as Marine Harvest rebrand into Mowi (pronounced Murveh), but the excitement remains the same as the Camanachd Association reveals the shinty fixture list for the coming season with less than four weeks to go until competitive action gets under way. 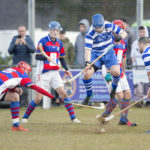 Stephen Sloss takes his Oban Camanachd squad to the Winterton to play newly-promoted Inveraray on Saturday March 2, the opening day of the shinty season. The sides’ only meeting last term came in the Scottish Sea Foods Glasgow Celtic Society Cup when goals from Daniel MacCuish and Daniel MacVicar gave Oban Camanachd a 2-0 win at Mossfield on their way to lifting the trophy. Looking ahead, Stephen Sloss said: ‘We’ve been looking forward to the fixture list coming out and we’re looking to get off to a good start. All games are tough but our first fixture is a reasonable start with Inveraray newly promoted. We’ll hopefully capitalise on that, although I’m sure they will be up for it too. ‘Our second fixture is against Lovat. That’s always a tight game but, with home advantage, we should be taking points. 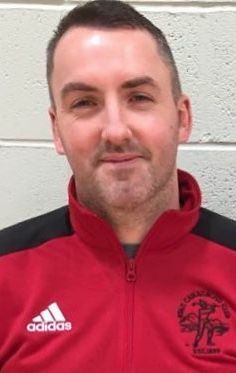 Kilmallie are the premiership’s other newly promoted side and new boss John Stewart could hardly have been given a more difficult start as his charges begin against reigning champions Newtonmore at the Eilan. Kilmallie will take heart from the fact they took Newtonmore all the way to penalties before eventually losing out in last season’s Tulloch Homes Camanachd Cup semi-finals, but Stewart recognises how difficult the start is. He said: ‘It’s an unbelievably difficult start for us away to Newtonmore, the current league champions, and our next away game, our third match, is against previous league champions Kinlochshiel. It probably couldn’t have been any tougher. It’ll let us see where we are in terms of the level we need to be at. We are all excited about the challenge though. ‘Numbers have been good at training and I’ve already confirmed to the players my first team squad of 20 players. If all players are available then five from that squad will have to go with the second team. It’s a good problem to have and long may it continue. There are two important points at stake, even at this early stage in the season, as Lochaber host Caberfeidh at Spean Bridge. Managerless Lochaber finished two points ahead of Caberfeidh, just above the relegation zone, at the end of last season. Lochaber were twice winners when the sides met in the league last season, recording three-goal winning margins on both occasions. Lovat and Kinlochshiel clash at Balgate. Both sides finished on 25 points last season with third-placed Kinlochshiel having the edge on goal difference. Kinlochshiel came out on top in all three of the sides’ encounters last season, but all by the odd goal, so another close contest is expected. Kyles Athletic, runners up last term, welcome Kingussie to Tighnabruaich in the knowledge that they came out on top following both encounters between the sides last season. Oban Celtic and newly-promoted Bute renew rivalries in Oban. The sides met twice in the cups last season and both were close contests. A Robert Walker goal gave Bute a 1-0 win at Mossfield in the Scottish Sea Farms Glasgow Celtic Society Cup but Oban Celtic turned the tables in the Artemis Macaulay Cup, also at Mossfield, when second half goals from Ally McKerracher and Ross MacMillan sealed the win despite Robert Walker’s late counter. 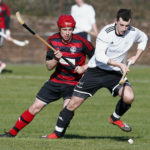 Fort William just missed out on the second promotion spot to shinty’s top flight at the end of last season and they open their competitive programme against Beauly at Braeview Park. Co-managers Victor Smith and Adam Robertson will have Fort William fired up for this one having lost the same fixture 2-0 last season. However Fort William were comfortable 6-0 winners when the sides met at An Aird in June with new captain Arran MacPhee scoring twice. Glasgow Mid Argyll and Inverness meet at Yoker. New GMA boss Mark Bain will be keen to get off to a winning start, whilst Inverness want to improve on last season’s last place finish in the league. There is a derby meeting between Glenurquhart and Strathglass at Blairbeg. Stuart MacKintosh and Eddie Tembo are now in charge at Glenurquhart as the side looks to make an immediate return to the premiership. This will be a second meeting on consecutive Saturdays for the sides as they contest the MacDonald Cup at Cannich a week earlier. Skye Camanachd are without an opening day fixture in this nine team league. Regional division fixtures will be previewed in next week’s Oban Times. The draw for the 2019 Bullough Cup was made at the Camanachd Association offices, Inverness, on Tuesday January 29. Holders Lochside Rovers, now managed by Brian MacCallum, open their defence of the trophy at home to Kilmory. The winners will have home advantage against Ballachulish or the English Shinty Association in the quarter-finals. 2018 finalists Kyles Athletic seconds were given a trip to Strachurmore to play last year’s Marine Harvest South Division 2 champions Strachur, who only lost out in last year’s semi-finals. Whoever progresses will travel to play forces side SCOTS Camanachd in the last eight of the competition. The Oban Celtic second team have been given a tough draw; against the Inveraray seconds at the Winterton with a trip to Yoker to play the Glasgow Mid Argyll second team the reward for the winners. Glenorchy, who were also semi-finalists last year, and the Aberdour reserves, both received first round byes and they meet in the quarter-finals at Mart Park. The first round ties will be played on Saturday May 18. The Bullough Cup Final takes place on Saturday August 3. The draw for the Strathdearn Cup was made in Fort William on Thursday January 31. Camanachd Association development officers Paul MacArthur and Ronald Ross made the draw with Paul picking the home sides andd Ronald selecting the away teams. Holders Newtonmore seconds head west to play the Kinlochshiel seconds. The winners travel to whoever comes out on top between the Lochcarron or Lovat seconds against Lewis Camanachd. The Fort William second team were beaten finalists last season and should be too strong for the Strathglass colts who play in a league below. The winners travel to the victors from the derby between Strathspey Camanachd and the Kingussie seconds, with Kingussie favourites in that one. There is also a first round derby at Spean Bridge between the Lochaber and Kilmallie second teams with whoever comes out on top travelling to take on the winners from a third derby between Boleskine and the Inverness reserves. The Skye Camanachd seconds have home advantage against the Beauly seconds as the sides battle for the right to play either the Glenurquhart reserves or the Caberfeidh reserves. The Strathdearn Cup Final takes place on Saturday August 31. Glengarry were unsuccessful in their bid to be included in the Strathdearn Cup and Sutherland Cup competitions. The move would also have allowed Aberdeen University to compete in the competitions as they are also a first team competing in Mowi North Division 1. The Camanachd Association Board considered the request but did not support it. Winter weather wiped out last weekend’s pre-season friendly matches. Oban Celtic’s meeting with Glengarry was postponed on Friday lunchtime as the Mossfield pitch was frozen. There were similar stories from Castle Leod, where Caberfeidh were to play Lovat; the Jubilee Park, where Ballachulish were to take on the Kilmallie second team for the Iain Aitchison Cup as well as at the Bught Park where Inverness were to host Kinlochshiel. The games between Boleskine and Aberdeen University at Farr and Strathspey Camanachd at home to the Caberfeidh reserves were also postponed, as was the Ewen Morrison Memorial Cup contest in Portree between Skye A and Skye B.
Tayforth and the Newtonmore second team were to play at Musselburgh with Newtonmore manager Orsten Gardner taking his side to face his former team. However, the frost put paid to this one too. The throw-up times for the Oban Camanachd and Lochside Rovers friendly matches on Saturday February 9 have been brought forward. Oban Camanachd and the Glasgow Mid Argyll first team will now meet at Mossfield at noon. Lochside Rovers and the Glasgow Mid Argyll second team lock horns at Ganavan, also with a noon start. The annual Robert Wylie Memorial Cup match takes place at Taynuilt Sports Field where the Oban Celtic squad make the short journey to play Taynuilt. Oban Celtic go into the match as holders having beaten Ballachulish 10-1 at Mossfield in last year’s challenge match. This will be a first match in charge for both managers as James McLaren takes his place in the home dug-out with Dougie MacIntyre, below, assuming charge at Oban Celtic. Throw-up this weekend is at 1pm. Kingussie have confirmed their captains for the 2019 shinty season. Scotland U21 player Robert Mabon is Kingussie first team manager John Gibson’s choice as skipper. The Kingussie seconds will be captained by Darren Hanlon having been selected by second team manager Iain Borthwick. Glenorchy have been busy preparing for the new term and a pre-season meeting returned some positive outcomes. Allan MacKechnie continues as team manager for the side who finished third in South Division 2 last season. In another boost for the team, Graham Morrice has rejoined the club from Lochside Rovers. Glenorchy’s training sessions started on Wednesday January 30. The Mart Park side has yet to arrange any pre-season friendlies and their first competitive match is at home to reformed Ardnamurchan in the league on Saturday March 2. There are a number of pre-season friendlies scheduled for Saturday February 9 as clubs from across the country hope for improved weather conditions. Oban Camanachd and Lochside Rovers take on their Glasgow Mid Argyll counter-parts. Oban Camanachd’s match against the GMA seniors will be at Mossfield, with Lochside meeting the GMA seconds at Ganavan. Both matches throw-up at noon. Taynuilt welcome Oban Celtic to the Taynuilt Sports Field as the sides contest the Robert Wylie Memorial Cup. Throw up is at 1pm. Kilmallie are on the road as they head for the Highland Capital to play Inverness at the Bught Park. Throw up in Inverness is also at 1pm. Lochaber hope to make their first appearance of the season, accepting Strathglass’ invitation to contest the Murdo MacKenzie Memorial Cup at Cannich. Caberfeidh and Newtonmore meet in an all-Mowi Premiership contest at Castle Leod, whilst two more top flight sides, Inveraray and Kinlochshiel, are scheduled to meet at the Winterton. Fort William make for Blairbeg to play Glenurquhart in an all-Mowi National Division clash. Throw-up is at 2pm. Ballachulish host the Fort William reserves at the Jubilee Park. Skye Camanachd and Lovat meet at Pairc nan Laoch, Portree, with the George Michie Memorial Cup the prize for the winners. Throw-up is at 1pm. The Beauly colts and the Kinlochshiel colts meet at Braeview Park whilst Boleskine, who have received a new set of training tops from www.petergow.co.uk, host the Glenurquhart second team at Smith Park. Throw-up is at 2pm. All of the above matches are subject to pitch inspections and a change of venue may take place.